“Until The Morning” by Akron/Family, from Sub Verses out April 30, 2013 on Dead Oceans. The new music video (directed by Brian Sowell) stars Miles Seaton singing to us with immediacy in a dilapidated house on a deserted street, the visuals reflecting the tense undercurrents of the song. 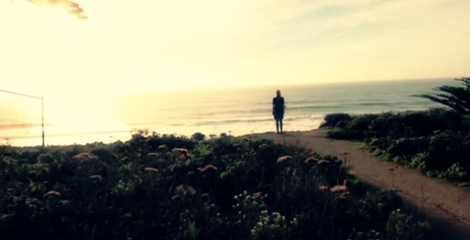 Island by Akron/Family from Secretly Jag on Vimeo. Akron is a city in Ohio, and happens to be where Alcoholics Anonymous was founded in 1935. It is also home to the Soap Box Derby World Championships, and happens to be the center of American Rubber Industry, being the founding location of B.F. Goodrich, Goodyear, and Firestone. Family is a thing most people are a part of. Typically Family denotes a group of people affiliated by blood, affinity, and co-residence. The primary function of the family is to reproduce society, either biologically, socially, or both. 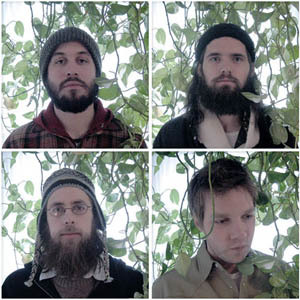 Akron/Family is an improvisational indie rock group from Brooklyn, NY. Their folksy harmonies are blended seamlessly with post-rock leanings to form a swaggering tempest of psychedelic folk-rock that displays influences ranging from African tribal choruses and drums to American Church music and Jazz. The band will be playing SXSW in Austin, TX, at the SESAC Day Stage Cafe on March 12th, and Emo’s Jr on March 14th. I suggest giving their track Phenomena a listen by viewing the video below or checking it out on their MySpace page here. I was pseudo DJing the other night before my brother started at the decks. In a room full of people drinking beer and chatting, we heard Lions by Jonquil slowly work its way into the room. Probably the song on my mix that I thought would stick out like a sore thumb, or like its name, a lion in a bar. It held its own and turned heads. 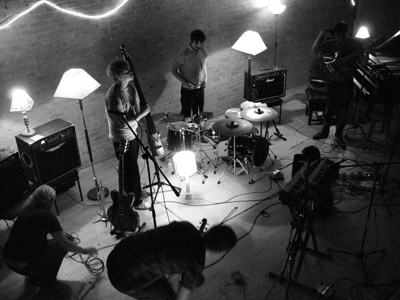 The band is an Oxford (UK) bedroom recording project turned band, centered around 20 year old Hugo Manuel. The band released their most recent record on Try Harder, a label gaining some attention with bands like Foals. Listen for bouzouki, guitar, violin, drums, flugelhorn and double bass. Kind of like something in-between Akron/Family and Grizzly Bear. Some great footage on La Blogoteque, check it out.